Gingko biloba trees grow in Van Xuan agriculture and forestry development centre (Muong village, Phieng Luong commune, Moc Chau district, Son La province) in Vietnam. It now has nearly 10 million trees and is nursing seedlings on 5.7 hectares at the 8-ha centre. 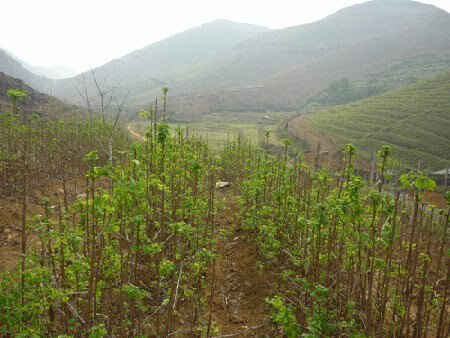 Some 2,000 trees have been planted in Hanoi, Lang Son, Yen Bai and Tuyen Quang.